We have a fantastic range of premium kiln dried logs, seasoned logs, smokeless coal, smokeless peat, Hotmax, supplied in nets, pre sealed bags bulk bags and crates. Whenever I visit Timperley Logs to buy my coal I am always greeted with a huge smile and fantastic customer service. Paul really knows his coal, received lots of advice off him and as always a pleasure to do business with. Top company would recommend all day long. 5* I have bought logs for my wood burning stove several times now and I can say that Timperley Logs are the best supplier I have ever dealt with. Paul is so knowledgable on the types of logs to burn, they delivered on time and put my logs where I needed them. I wouldn't go anywhere else. Thanks to Paul for great service. Rang Friday and arranged delivery for following Monday. 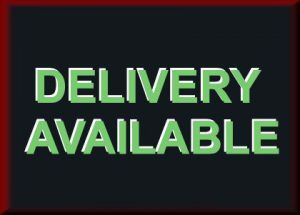 Paul rang Saturday to say a Saturday delivery slot had become available and would it be convenient to make my delivery today? 'Yes please.' Paul gave me a time 'window' and was as good as his word. Not only that, his colleague Billy neatly stacked my order (with the all the bag openings the correct way around) which saved me a great deal of time and effort. So, overall great service from initial contact though to delivery. Thank you Billy & Paul. Thanks Paul, super fast response and delivery and help with stacking logs which I hadn't expected. I bought a mixed set and they are great - very good quality and very friendly service too! Thanks Paul I'll definitely be back! Very prompt and friendly delivery from Paul. Needed dry logs in December, for the Christmas/January break. Netted logs were stacked for me by Paul and his colleague. Very convenient.They burned well and I can highly recommend Paul. I'll order again. I previously ordered firewood from a big online company that delivered them on a pallet, but I got fed up of the pallets being left in random places - what would have been an extra minute for the driver to put the pallet where I asked, it became a morning's hard work for me, manually shifting the logs. I ordered 60 bags of wood from Paul, and he delivered them when he said, and carefully stacked them under my shelter. Couldn't really be happier, to be honest - total contrast from the impersonal pallet delivery I've been used to. Not only that, but the logs were a bit cheaper than my previous supplier, and I wasn't even charged for delivery, despite being a fair way out (Holmes Chapel is about 25 miles south of even South Manchester). Quality is great as well - dry logs that light easily and burn for a long time, and every one of them a good size for my multi-fuel burner (contrast to my previous supplier, where 5 or 10 logs in every load would be much too big, causing me a load more manual labour hacking or sawing them down to fit). Like I say, couldn't be happier - having experienced this, I won't be going anywhere else for firewood in the future. After googling around to find an impossible number of suppliers, stumbled across Paul just down the road from me. Collected myself and he chucked in some spare bags and kindling. They are mixed shape but they burn really hot, we only need to stick a few on each night and really great. His kindling is really the best, gets the fire going instantly and really hot. Don’t bother with any local garage nonsense, these are big kiln dried chunks from the machining process of your logs so there’s all sizes in the bag. And it’s huge!!! Will definitely be coming back Paul in 2018! After buying the odd bag from local shop I decided to go bulk for winter. Phoned Paul in the morning and was able to collect an hour later, 20 bags mixed hardwood. Happy with purchase. Great logs and coal, quick delivery and easy to order, good value for money. Logs burn really well...will definitely be ordering from Timperley logs again! Wide range of products. Paul is very helpful and has great advice.i would recommend Timperley logs to anyone who want quality at affordable prices. Copyright © 2019 Timperley Logs. Powered by WordPress. Theme: Accelerate by ThemeGrill.